Two Club Website members and grassroots football stalwarts got the VIP treatment last weekend when they were Wembley guests at the FA's Community Awards. Bill Taylor of Lenham Wanderers FC and the Maidstone Boys Primary League was presented with the FA's 'Volunteer of the Year' award by goalkeeping legend Pat Jennings in recognition of over 30 years service to grassroots football. With Bill at Wembley was Mike Robinson, who was recognised for his work as club secretary at Corbridge United JFC, receiving a nomination for the 'Outstanding Contribution' award. Both men thoroughly enjoyed their day in the sun, as Club Website found out when we caught up with the two winners. "It was a great day. Everything was wonderfully organised," said Bill. "From as soon as we arrived at Wembley everything just clicked into place. "I've been to Wembley on a number of occasions before, but to actually be down on the pitch and see the size of the stadium from pitch-side was just awe-inspiring. I just wanted to get one foot on that turf itself, which I did!" 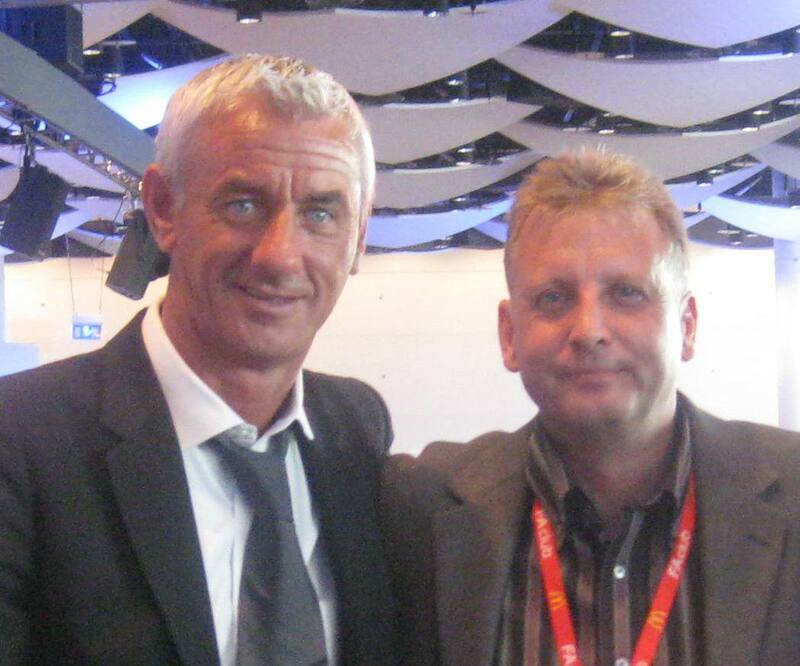 The FA put on a VIP reception and lunch for the volunteers, where they got chance to meet some greats of the game, including Jennings, Kenny Dalglish, Ian Rush and Sir Trevor Brooking, now Director of Football Development at the FA. Following the reception and prize-giving - which took place on the hallowed turf - the guests were treated to the best seats in the house to watch Manchester United beat Chelsea in the Community Shield, but even that didn't spoil Chelsea fan Bill's day. "It was great. My son and my two granddaughters enjoyed it too, which is the major thing," said Bill, who was joined by a large group of volunteers from Lenham Wanderers for the trip across London, all of whom had "a terrific time". It was also a great day out for many of the coaching staff at Corbridge United and their families, who made the trip down from the north east to join Mike for his big day, an event that the club secretary described as "a little bit humbling". "Anybody that's involved in grassroots football, you don't do it for recognition. It was one of those odd occasions where you are being put on a pedestal for what you do but, for most of us, we're only the pinpoint of a team of volunteers so to get that sort of accolade is sometimes a bit difficult to take. "It helped knowing that I wasn't there on my own, that there was this was the backing from the club down there sharing this more than anyone else." In his own words, Mike "pulls the strings together" at the community-based club in the small Northumberland village of Corbridge. This is a very modest claim for a man who does everything from coaching and pitch-marking to organising large club events and has seen the club grow under his stewardship to boast 15 teams, 270 children and 35 adult coaches all set for the new season. A central part of the local community, Mike says the club "make sure there is an access to football for every child who comes to the club, regardless of standard or ability." 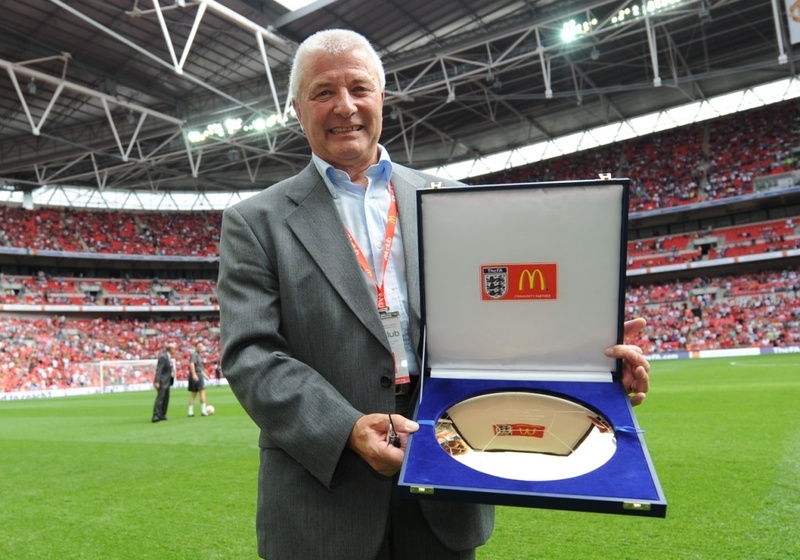 Despite his sterling efforts, Mike didn't pick up the 'Outstanding Contribution" award - this was won by Ron Collins of Leicester's Aylestone Park YFC - but the nomination alone and Wembley experience was "plenty" to ensure that this was one happy grassroots football volunteer. Congratulations from all of us here at Club Website to Mike, Bill and everyone involved at your clubs. It's people like yourselves that keep the grassroots game thriving and help make football the best game in the world.